Small group touring and the Lands Down Under – they add up to a perfect combination as we travel from Australia’s spectacular Great Barrier Reef and the storied Outback to sophisticated Sydney; from New Zealand’s towering Mt. 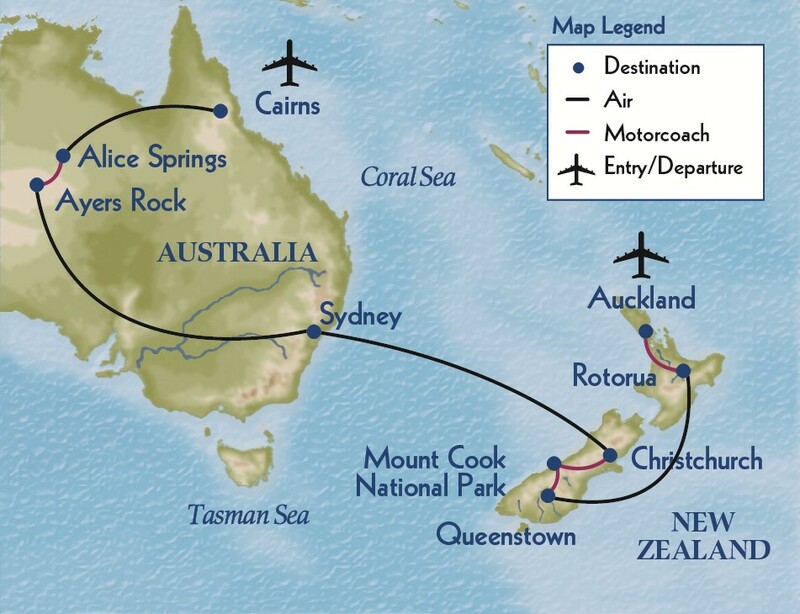 Cook and breathtaking Milford Sound to highspirited Queenstown and nautical Auckland. Day 22 : Depart for U.S.
All 2020 prices and itineraries (including port order) are tentative and subject to change; final pricing adjustments may occur after the release of marketing materials.